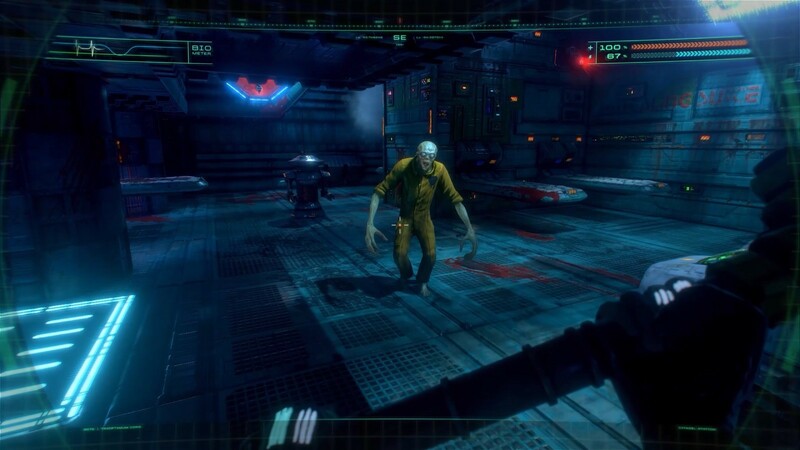 Nightdive Studio's remake of 1994's cult classic System Shock, previously put on hiatus in February, is now reportedly back on track and angling for a Q1 2020 release. In addition, a preview of the latest build of the game should be available for Kickstarter backers in early April. The original 1994 System Shock was a cult classic for good reason. Blending FPS and RPG gameplay with both cyberpunk and horror story elements, Looking Glass Studio's breakthrough title was years ahead of its time in terms of first-person game design. Due to the heavy RPG and adventure gameplay influences, the original game was admittedly not for everyone. However, System Shock refined many of these element in its sequel, the even more well-received System Shock 2, which would then go on to inspire games such as the Deus Ex and Bioshock series. While the more modern System Shock 2 has already been the recipient of many enhancement packs and mods, System Shock was still on an engine that used 2D sprites and was hobbled by an clunky and extremely outdated control scheme. Its outdated engine and cult status made the original System Shock as good a place as any for Nightdive studios to start their overhaul of the series (a System Shock 3 is currently in the cards for Nightdive Studios, though the release date is TBA). While it is unfortunate that the release date isn't March 26, 2018, 2020 isn't too long to wait if the remake comes even close to matching the original game's design. For now, some even better news: Kickstarter backers are expected to get a peek at the current build of the game (now using the Unreal Engine rather than Unity) in early April.